Natural disasters often bring serious concerns for home owners dealing with asbestos exposure. Asbestos-containing materials pose generally no threat when in good condition, painted or sealed, and in a bonded form, but become dangerous when broken or shattered into pieces. Any of these materials produced before 1986 may potentially contain asbestos. If you are in doubt, manage them as if they are asbestos. If a home, structure or building is already damaged due to flooding or a cyclone, the site should be secured and contained. For safety reasons, hire a licensed asbestos contractor (external site) to remove any materials that contain asbestos. Some home owners may choose to do part of the clean-up themselves, but this comes with great risk and is not recommended, especially if the material is in poor condition or fibrous. Stagnant water left behind by floods and rain provides an excellent breeding ground for mosquitoes increasing the risk of mosquito-borne diseases such as Ross River virus (RRV) and Barmah Forest virus (BFV). In the north of Western Australia there is also the potential for the rare, but potentially fatal, Murray Valley encephalitis (MVE). 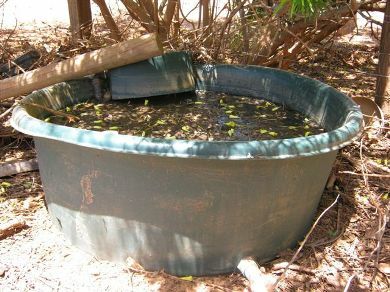 Mosquito breeding may occur over vast areas after flooding. You can make a difference by preventing mosquitoes breeding around your home. Extreme care must be taken when handling any spills or containers of suspected poisons, chemicals or pesticides, especially if containers are damaged. Spills or containers of these goods should be isolated until safe management has been arranged. Minimise the potential for presence of an ignition point or flame in case the chemical is flammable. When handling dangerous goods wear personal protective equipment such as chemical resistant gloves, protective eyewear, enclosed footwear, long-sleeved shirts and trousers. Ensure that if you are handling drums, you work up-wind and if there is a chemical odour present, wear a respirator with the correct chemically rated filter. Generators and other fuel-powered equipment should stay outdoors, or be placed in a well-ventilated area to prevent the build-up of contaminant exhaust gases such as carbon monoxide. Use an air monitoring device, such as a gas detector, to monitor the air in enclosed spaces where plant and equipment exhaust is generated. Try to identify chemicals and their hazards using labels and markings. Separate chemicals from general waste, while identifying whether the container is damaged or not and if there is the risk of any chemical reactions. For example, oils and dry pool chlorine may cause a fire if brought together. Take precautions to protect the area from further damage during the clean-up. This includes preventing mobile plant (earth-moving equipment) coming into contact with containers, particularly gas cylinders; prior to operation check all chemical processing and handling equipment affected by the flood, and ensure a qualified electrician checks electrical installations. Contact your supplier regarding the safe return to operation for gas supply systems. Like residents, snakes, rodents and other wildlife can become displaced during a flood. As a result, they may seek shelter and food inside houses, storage sheds and other buildings. Ensure you wear sturdy work boots, gloves, and long trousers to protect your legs and watch where you place your hands and feet when removing or cleaning up debris. You should remove debris from around your home as soon as practically possible as it can attract rodents, lizards and insects on which snakes feed. If you see a snake, step back from it slowly and allow it to proceed on its way – do not touch it. Be aware of snakes that may be swimming in the water trying to get to higher ground, they may also swim towards a boat and attempt to gain entry. They should be warded off with an oar or other long stake. If you find a snake in your house do not panic. Seek advice from the Department of Environment and Conservation on how to get in contact with the nearest licensed snake catcher. If you are bitten by a snake you should seek medical treatment immediately. Wash the affected area well and soothe the pain with ice packs or clean iced water. Do not apply pressure – this is not recommended for red back spider bites and often worsens the pain. Apply a cold pack if the bite is painful. If possible and safe to do so, the spider should be caught for positive identification. Read more on first aid for bites and stings. Remove food sources and items that can provide shelter for rodents. Wash dishes and cooking utensils immediately after use. Dispose of garbage and debris as soon as practically possible. Lay rodent baits or traps. Do not let food and garbage build up as this becomes a breeding ground for flies. Clean up food wastes as soon as possible.